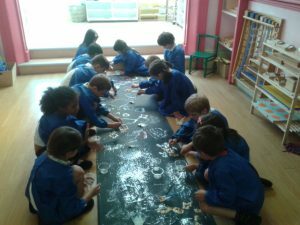 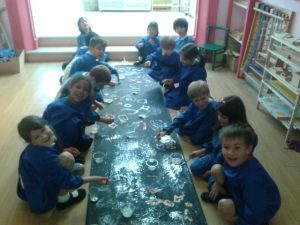 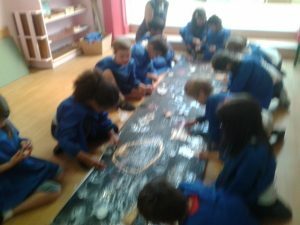 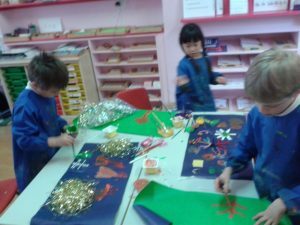 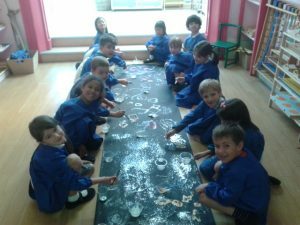 At the start of the term the children learned about the beginning of the universe, different shaped galaxies and the life cycle of a star. 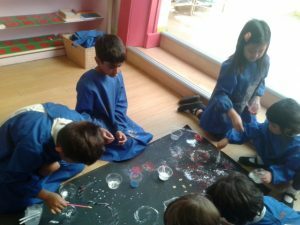 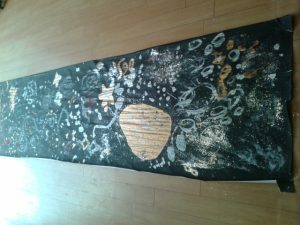 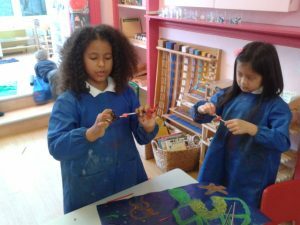 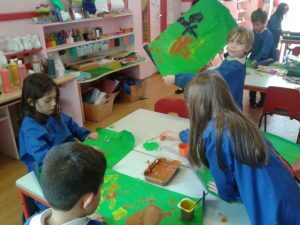 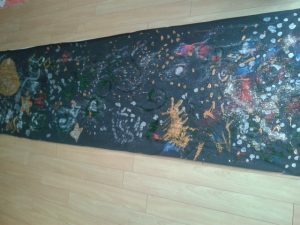 The children loved painting th eir own universe with different stars and planets using lots of bright coloured paint and glitter. 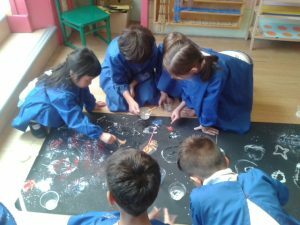 After studying the different planets of the solar system, painting and writing about each one of them, the children gave wonderful homework presentations about one of the dwarf planets that they wanted to present to their peers. 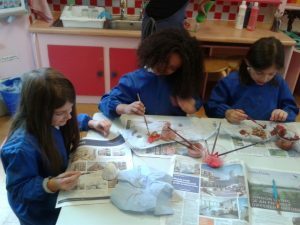 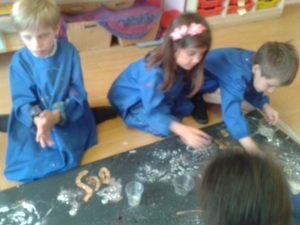 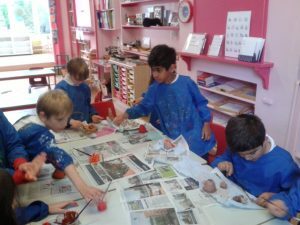 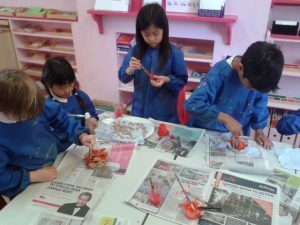 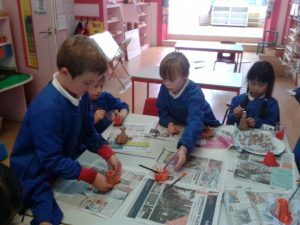 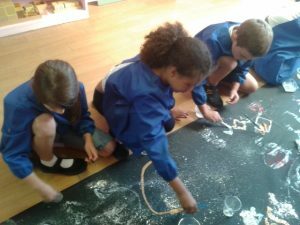 The children also had fun learning about volcanoes and making their own ones out of clay and trying out the volcano experiment. 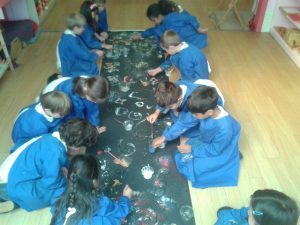 Towards the end of September Primary enjoyed Maria Montessori's '2nd Great Story' about the 'Coming of Life on Planet Earth' looking at the timeline of life. 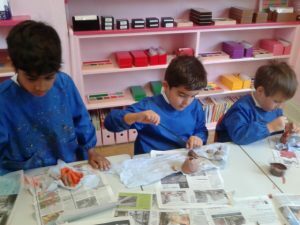 After exploring early life forms, we have learnt about the characteristics of fish and amphibians and this week we looked at the characteristics of reptiles. 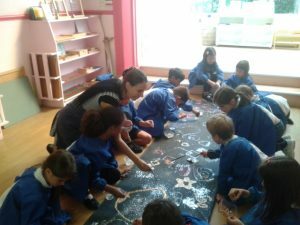 Last week's trip to the Natural History Museum and attending workshops about the Stegosaurus and fossils has further engaged the children in their study of one very important group of reptiles -the dinosaurs. 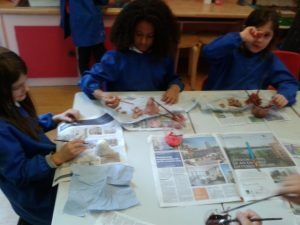 After half term we will have a closer look at birds, mammals and insects and we look forward to our trip to London Zoo in November.